The remains of one of Al Browne's veteran groups who first waxed "Pen Pal" and "Plea in the Morning" for him as the Gaytunes on Joyce 106. 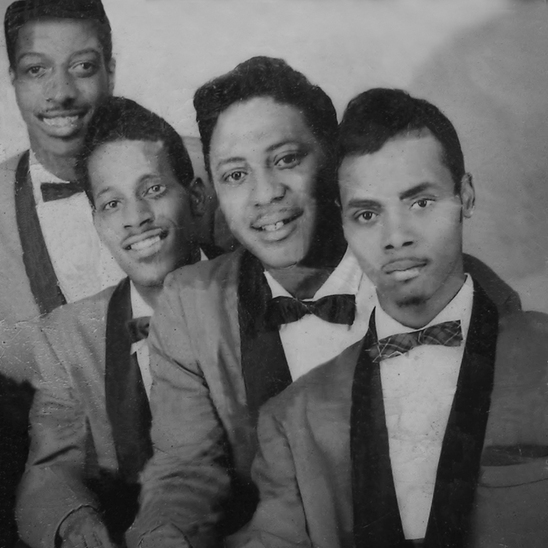 They had started recording for Timely Records ("Thrill of Romance") in 1953, while singing at the Street Corner of P.S. 41 and P.S. 83, and later on Alexander Hamilton and Boys High in the Bedford-Stuyvesant section of Brooklyn. Earl kirton (Lead) had founded the Gaytunes with Waymon Carey, Leroy Wiliams (Who left early), Harry Pinchback and Fred Davies.The Verdicts, as their were known after some kind of metamorphosis in 1961, were always busy recording, because at least seven tides survived the years. "The Mummy's Ball" was the flip of "My Life's Desire" and first leased by Al Browne to East Coast records in NYC. Relic Kept the Classic A-side "My Life's Desire" alive over the years after they had re-issued it on their own label in 1963. The Verdicts recorded several notable tunes.